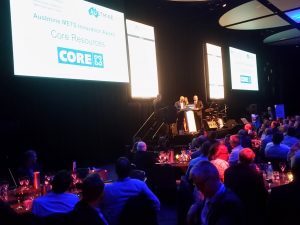 Core takes out the Minerals, Energy and Related Services Award! Core Resources has taken out the Minerals, Energy and Related Services Award at the 56th Australian Export Awards for 2018! It is Core’s vision is to change the way the world produces minerals so future mining is clean and sustainable. 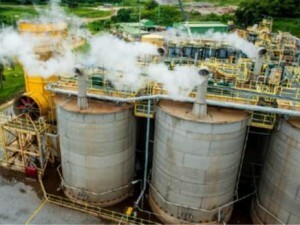 Core focuses on developing new processes for producing minerals and is an expert in clean processing and waste treatment and is also developing solutions to treat new energy resources such as rare earths, lithium and graphene. 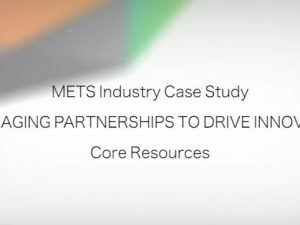 With projects in 20 countries, Core’s international business success during 2017/2018 has seen a fivefold growth in export sales over the past two years, with international sales accounting for almost 60 per cent of the company’s total annual revenue. To cope with rising demand, Core has increased staff numbers by 70 per cent over two years. Jonathan Loraine, Core’s Executive Director said that winning their category at the Australian Export Awards was a great honour. It was a very strong field, very competitive, and it was a very pleasant surprise on the night. To find out more about the export awards and winners click here.